The lights, the decorations, the Christmas music piped through the store speakers… It’s all so seductive and festive, that before you know it, you’ve pulled out that credit card you only use in “emergencies”, and it’s now screaming for mercy. According to an article released by MSN in December 2011, American parents planned to spend an average of $271 per child in Christmas gifts. One in 10 parents said the plan was to spend over $500 per child. That doesn’t include the gifts for other family members and friends, the decorations, the food, and the greeting cards. It all adds up way too quickly! I know it’s still weeks til Halloween, but we should all start thinking about our holiday spending. 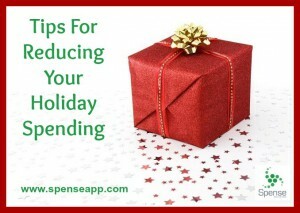 I’ve put together a list of tips for reducing your holiday spending. I hope you find them helpful! Plan ahead. Make a list of who you will be buying gifts for. 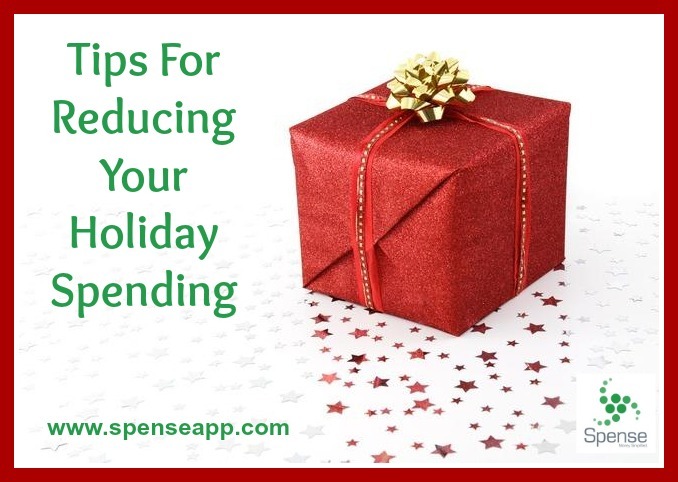 Set a limit per person ahead of time so that you don’t overspend while shopping. Start early. Plan out how long you have to buy gifts and how much you want to spend, and then split it up so you aren’t buying all of your gifts at once. Pay with cash or a debit card. Leave the credit card at home. If you can’t afford it with cash or your debit card, you should wait until you can. Track your holiday spending. Use an iPhone app like Spense, or even old fashioned pen and paper. Keep track of how much you are spending on each person, and of your holiday spending in general. Do your research. If you are looking for a high-ticket item, keep an eye on the prices online and in sales circulars so that when you see it on “sale”, you’ll know how big the discount really is. Handmade gifts are always welcomed. There are many things you can make that would be useful and very much appreciated gifts. Some ideas can be found here. Remember, kids don’t really remember the gifts years down the road; they remember the memories and the traditions that your family celebrates. Use live greenery. We always visit the local corner Christmas tree lot, and ask for any scraps they may have. They usually have a ton that is trimmed off the bottom of the trees before they are sold. These pieces can be cut and used to decorate all over your house. Place them on the mantle around decorations, make wreaths or garlands using them, or put them on trays to set around the house. If you usually go crazy buying Christmas decorations every year, set a limit, such as only purchasing one new piece per year. Shop the after Christmas sales for clearance wrapping paper, ornaments, and decorations. Just be sure to only buy things you are sure you will use the next year. Don’t underestimate the power of Dollar Tree! This store is a goldmine for gift bags, tissue paper, gift tags, and stocking stuffers. Handmade decorations are an inexpensive way to go as well. You can paint ceramic ornaments for each family member, or use a YouTube tutorial for wreath making. Have friends over for chili or soup and watch Christmas shows or movies. Have a cookie decorating party. You provide the cookie dough and the space, and all of your guests bring decorating supplies. Then each family can take some decorated cookies home. One of my boys’ favorite things to do when they were little is to get into their pajamas, bring some hot chocolate in a travel mug, and ride around our small town to look at Christmas lights in the neighborhoods. Visit Santa. Lots of festivals, malls, and stores have a friendly Santa. Take the kids for a free memory making experience. Participate in a local walk/run for charity held around the holidays. These events are usually very festive, and it gets your family active and gives back to charity. Speaking of charity, if your family has a little extra this holiday season, consider giving back by donating to a charity of your choice. There are so many around the world that can use our help, and a little goes a long way!